Arguably one of the most important components of any powered mobility vehicle is its battery and for retailers, batteries can prove somewhat of a headache, particularly when it comes to warranties. In her guest post, Vanessa Human, Marketing Director of battery specialist DBS Leoch, aims to provide some useful advice for retailers surrounding battery warranties in the mobility market. We see warranty guarantees all over the retail marketplace and if it’s a particularly encouraging deal, it can be an important factor in a customer’s purchasing decision. 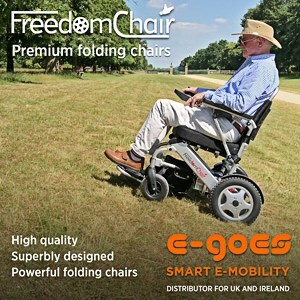 This applies equally to the battery market, where our batteries power mobility scooters and powerchairs, vehicles that play an absolutely essential role in users’ freedom and independence. The technology underpinning modern batteries is becoming increasingly sophisticated as more is demanded from their features and performance. This level of sophistication requires a robust diagnostics system that can reveal if the battery has been properly cared for. Therefore, not only is it a good idea for a mobility retailer’s customer to follow the manufacturer’s instructions meticulously to maintain a long battery life but it is also vital because failure to do so could invalidate their warranty. Double the power, double the trouble? This is particularly pertinent to the mobility scooter sector. The warranty on mobility batteries is more of an issue because there are usually two batteries fitted to a device. If we estimate a general returns rate for issues with deep cycle batteries under warranty at around one percent generally, for mobility scooter users, the good battery will also be an issue so that doubles to a potential two percent returns rate. Although today’s batteries are hugely resilient and high-performing, mobility batteries ‘can’ fail for a variety of reasons, broadly linked to issues with recharging, excessive loads or defective chargers. If a fault occurs, a retailer can identify the ‘bad battery’ and check against their warranty agreement by applying some simple tests. When a mobility retailer receives the batteries, they should be fully charged first then tested using a discharge tester. If one battery is much lower than the other, that would fall under the warranty. If the better battery is less than 70 percent, this should also be replaced as the bad battery has probably overloaded it. To help to preserve the mobility customer’s warranty and deliver better value for money, the choice of battery to fit is key. The choices focus on AGM, Gel or Lithium. AGM (Absorbed Glass Mat) batteries are a traditional choice for mobility scooter customers. However, there can be differing versions for different applications, such as alarms, UPS, leisure and electric vehicles. Electric vehicles can be split into occasional use and then industrial deep cycle daily use. Gel batteries are good if a scooter user is prone to not recharging their battery every time that it is been used, or if you have exceptional use for your scooter in terms of frequency and length of trips, using it in an inclined area or in heavier, weight-bearing modes. For zero warranty problems and exceptionally long service life, allowing dealers to fit and forget, then lithium is the battery for you. With lithium, there are little to no failures with the RELiON lithium batteries due to the unique sophisticated Battery Management System which ensures each cell is balanced. This ensures constant peak performance while protecting the battery from under- or over-charging. This is a great preventative feature, particularly in the mobility industry where batteries play such an important role in an individual’s independence. About DBS Leoch: Battery wholsesaler DBS Leoch distributes nationally across the UK, with mobility accounting for 12 percent of its turnover. The company offers a range of batteries for mobility retailers, including AGM, Gel and Lithium and is able to provide next day delivery with no minimum order value.